If you have been following this blog since January 2011 when it first went live, you know that the whole concept that I developed from 2010 was all about two people (a 7 star hotel chef and me the journalist and marketer wife) on a low carb, epicurean journey. We had weight to lose and I knew as a seasoned journalist that eating low carb was actually one of the healthiest eating lifestyles… a fact that was proven by science and wisdom of our forebears. Granny knew that too many mangoes in mango season, too much cake and rice and other carbohydrate rich and sugary foods would lead to the need for shape wear and eventually clothes not fitting. Granny knew what those who promoted low fat diets did not know. It is sugar, not fat that makes us fat. Over the years, we have been on again, off again on our way of eating. The occupational hazards of us being professionals at the top of our game in food did not help. Talk about occupational hazard! As Jamaican expats in Dubai, then Ras Al Khaimah (7 and 11 years respectively in the UAE), then a few months stop home on route to Aruba, we have moved A LOT and had lots of challenges like everyone else. Four years ago, I added two professional coaching certifications to my belt. I did it really for me first. I knew that I had to find ways to interrupt my own unhealthy patterns and pursue the fullness of the life I truly wanted to live. I knew that even though I had many roles to play to many different groups of people and many ways in which I was serving them, when resources are limited, you must put on your own oxygen mask first. In 2015, I began to do just that. I created an amazing coaching programme for myself and set about the most important journey of my life. It was a brilliant programme, and saw me vividly blossoming inside and out. And then we moved. Three homes. Three countries. A toddler. All in six months. Then things started falling apart. You see I knew how to start and maintain transformation through momentum. I did not learn how to hold on to transformation in the midst of major life transitions. Transitions have always been my problem. And having been a daring risk taker, I have taken copious leaps throughout my life. But after a while… even healthy patterns can become problematic. I knew how to leap, and I had a life full of major leaps, yet I was challenged with landing on four feet like a cat with 9 lives or sticking my landing as elite gymnasts learn to do after ridiculous leaps and tumbles. As a mother, who is invested in her child, when resources are limited, we lay down ourselves for our children. Forget oxygen masks. We are willing to die for our children. We jump between our kids and a gunman without second thought or care for self-preservation. Throw in ridiculously high stressful environments (moving is right up there with terminal illness in the scale of life’s most stressful situations and we moved entire households, countries and hemispheres) a lack of support systems, relationship trauma, relocating businesses in three countries with different markets and demographics, creating a new family brand for my family farm, expatriate re-location issues and navigating parenting a young child and everything pretty much goes out of whack. At one point I was homeschooling for two whole terms! Each day I did the best I could and in many ways, I accomplished things I still don’t know how I managed to (the grace of God being especially obvious during those times). Yet, as a person, I have paid the ultimate price. It is what it is. I made the choice to put certain things first in my life. I am now making the choice to add me to my own to do list again. Yes, I am adding myself to my own to do list. My relationship with God is closer than it has ever been, and as a mother, I am feeling a lot more secure in the 5 solid years I have invested in my child. Now, I want to regain optimal health. Success for me is not just in accolades won, remuneration received, people served with excellence and general achievements. Success for me is the quality of life that I live. I have to stand accountable not only for what I have done for others, but what I have done for me. In fact, what I do for me, affects my efficiency and effectiveness in helping others. I am more of an inspiration having lived the example than merely pointing you to and holding your hand towards a goal post on a journey I have not embarked on myself. I am not saying I have arrived, I am also in process. I trust God wholly and I understand that real transformation comes through the renewing of the mind. Old things must past away and behold, all things become new. True transformation is an inside job. It relies on internal factors and happens in spite of external factors. This is a complete walk of faith, backed 100% by commitment and action. Faith, my dears, is a verb, not just a noun. Faith is action. If it is not acted upon continuously, it is not faith. So, essentially, this is an invitation to grow. I have put muscles on my programme that I created for myself and I am working it. It is my #OneIntentionalYear programme. As part of this, I have a breakout intensive treaty to lose 50 pounds in six months. I am also offering a package to SIX persons who are committed to the same. If you know you are ready to get the internal and external weight off for good, fill out the private contact form below to apply for one of the six spaces in this #50LessMillionsMore Treaty. In filling out the contact form below, in the message section, let me why you are ready to commit, how you are ready to commitment and what this transformation means to you. Follow me on Facebook and Instagram to get lots of daily food ideas and inspirational tips! 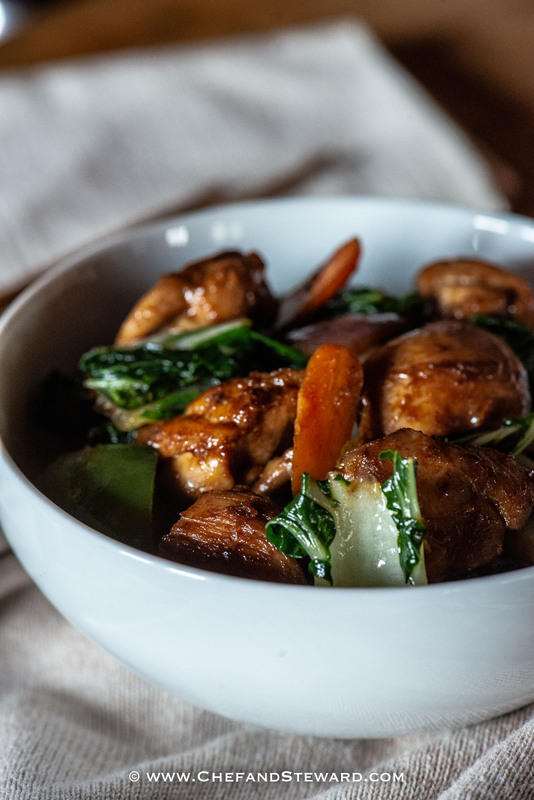 This recipe for keto chop suey is a great one pot, practical dish that serves 2-4 people, depending on how much pak choi you use and . For it to be strictly keto, please leave out the carrots. I added thinly sliced carrots because I like to see them in my chop suey… the colour contrast with the leaves of the green pak choi is quite appealing to me. Be sure to leave out the carrots for a keto meal or you can keep them for just a low carb meal. It stays low carb if you serve alone, without rice or noodles. This is a great weeknight recipe because it is so quick. I love wok dishes for this reason, plus the fast cooking preserves a lot of the nutrients in the vegetables. The smaller you slice your chicken, the quicker it will cook. This time I went for chunkier pieces largely because I had deboned a whole 1.5kg package of chicken thighs and slices them up into little squares for three different dishes. Will have to share that food prep in another post. Until then, happy chomping! 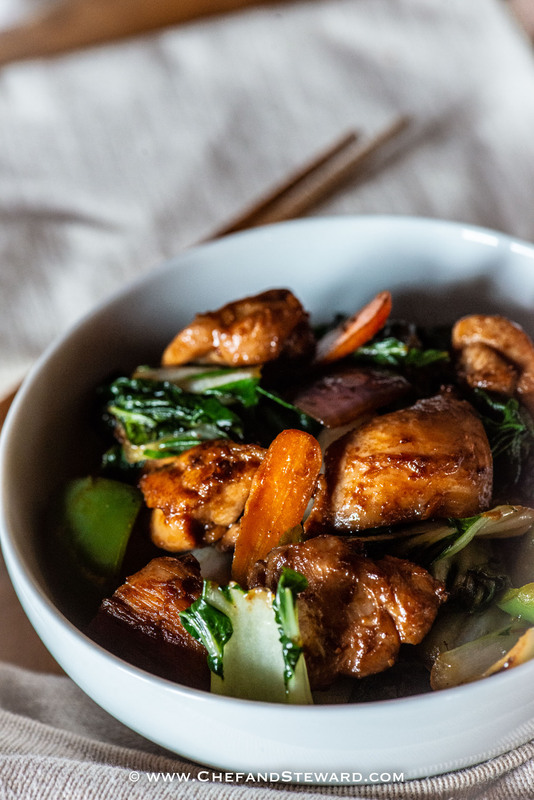 Remake your favourite Chinese Chicken Chop Suey into this Keto version at home without the excess carbs for a lowcarb meal that is scrumptious and filling. Suitable for diabetics as well as the entire family! In a small storage container, add chicken thighs, oyster sauce, soy sauce and garlic and mix. Let it marinate in the refrigerator for up to couple of days for best flavour but it can be done right before cooking anyway. Taste for seasoning. If desired, add salt at this point. Drizzle sesame oil on top (about 1 tbsp or less) and remove from heat and serve! Your keto chop suey looks so delicious! I hear you, losing weight isn’t easy and finding delicious meals that won’t be flavorless and boring is just as hard. This looks so healthy and delicious! Thanks ever so much! Happy to take weightloss and fat loss to tasty heights! 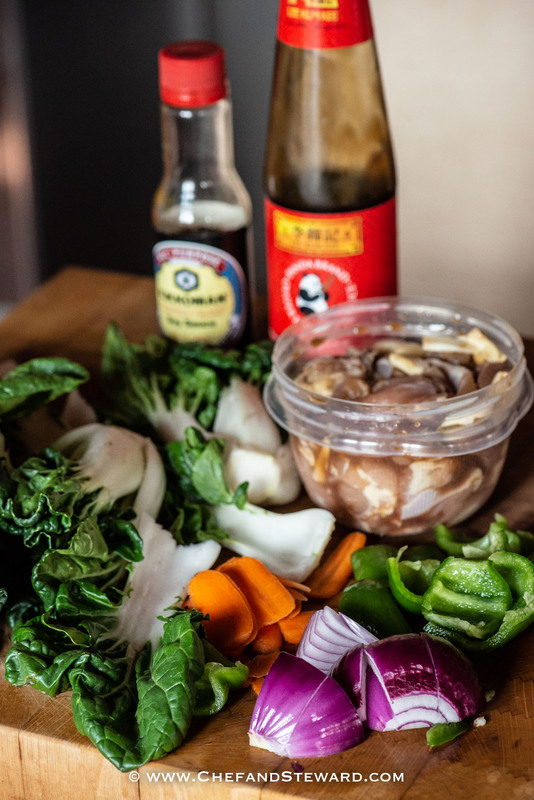 I’ve been trying to get into the keto diet for more our dinners to help gear up our bodies for a more active summer, and I have everything I’d need to make this except for the oyster sauce – gonna pin this for later! Superb! Keto and low carb diets in general make for lots of great energy once the body switches from glucose to fat as fuel! This is a great and practical recipe for dinner because you can be in the kitchen and out in no time! I love how this recipe is loaded with good-for-you ingredients that are also super flavorful and delicious. What a great recipe! Thanks for sharing! That’s one of my gifts – using healthy ingredients to make really tasty and practical and healthy dishes! Thanks for noticing! Thanks for sharing your journey. Taking care of ourselves is so important but as a mother can get lost sometimes. It is important to understand that the same challenges that we have a opportunities for us to grow. This is a heartfelt opening to the many people who are finding resources limited and need help. This is an offer to help. Especially during big life changes like moving, that’s when it’s really difficult to stay focused. I think this new program is going to work really well since you’ve been there yourself. I loved to read about this journey of yours and that chicken chop suey look delicious! Thanks so much Stine! Looking forward to helping people change their lives as well. You are gonna love it! And yes I get you about the carbs. You won’t miss them here! Thank you for sharing your journey. We are not alone with balancing our lives! 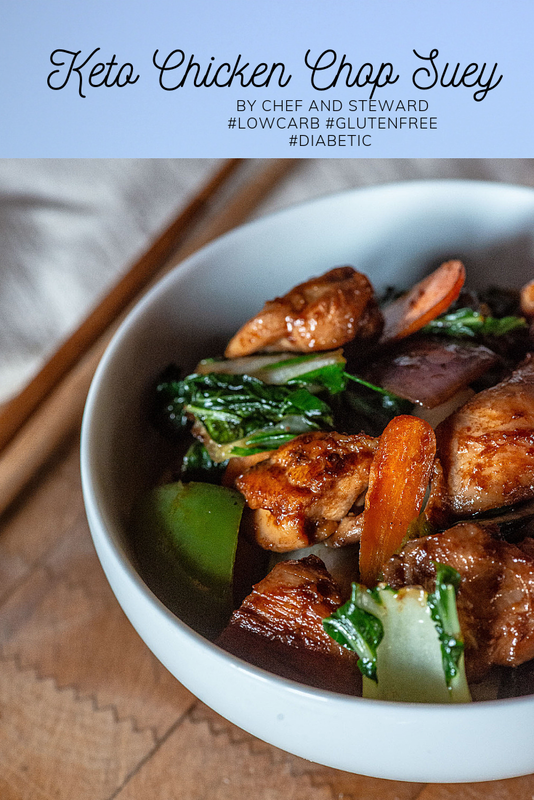 This chicken Chop suey looks incredibly delicious, and I love low carb recipes, I will have to try this one out! Thanks Denise, yes making time for all the things we have on our agenda seems next to impossible most days. Happy you love low carb recipes. Have loads on this site! Sounds like you have had to deal with a lot of stress and a very hectic life! Well done you for using your experience to develop a programme to not only help yourself, but others too! It’s often very hard for women/ mothers/ wives to put themselves on their to do lists! Love how healthy this chop suey is! Jacqueline, to whom much is given, much is expected. I believe one of the major reasons I have walked through the intensity of so much change is to be able to help others do the same. And for that opportunity, I am most grateful. this looks like such an awesome recipe. I am a huge fan of all the wonderful flavors. it’s been so long wince i had chop suey! Yes, chop suey used to be a favourite of mine as a child and in teen years and it was my first introduction to Chinese food. I keep expanding my own palate so it’s good to return to something of the past every now and then. Plus this dish is way too easy not to make it in a regular weeknight rotation. 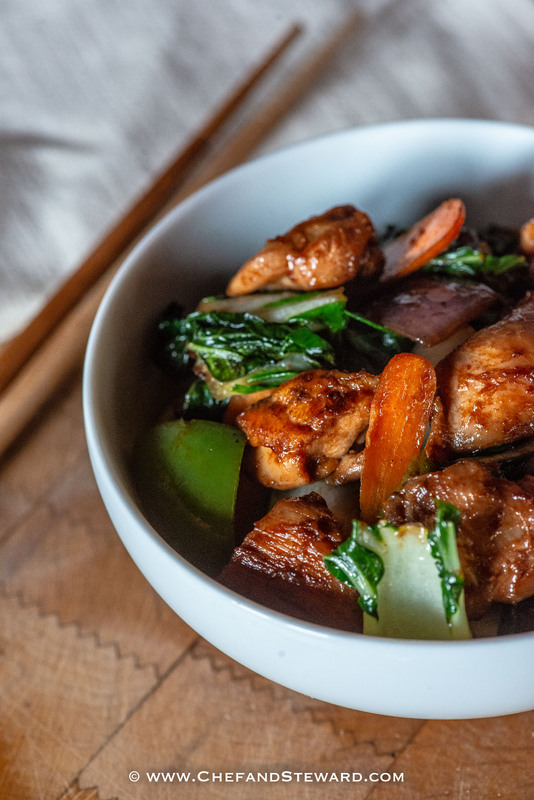 This Chicken Chop Suey looks fantastic! We follow a pretty low carb diet most nights so I’m happy to see another great option for easy, tasty, healthy, weeknight meals!